This giant map shows plans for a magnificent boulevard, 7 kilometres long and 120 metres wide, which was to be flanked on all sides by gigantic buildings. A 320 metre-tall "Hall of the People" standing at the end of the avenue, dwarfing all structures around it, with enough room inside for 180,000 people. Crowned with a 40-metre glass lamp, its green copper roof with an opening at the top was inspired by the Pantheon in Rome. 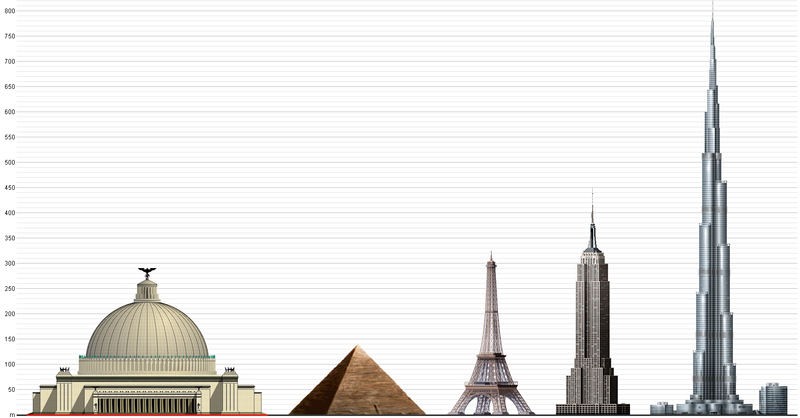 This is Hitler's dream capitol. In 1937 he gave architect Albert Speer the task of transforming Berlin from the sprawling metropolis that it was into a gleaming new capital of a Greater German ‘World Empire’. Hitler would spend hours poring over the detailed scale models prepared by his architects of this new world capitol; he would get down on his knees, place his eyes street level and imagine what it would be like to walk among his vision. 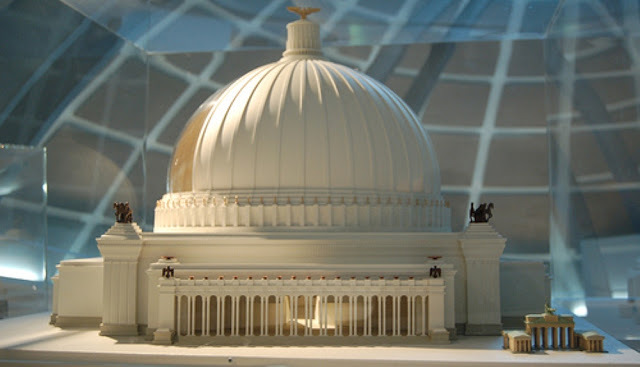 Hitler's mind was mired in classical architecture - he loved columns, amphitheatres, buildings which dwarfed humans - and this is reflected in the models, schematic drawings and pictures. The vast project of planning this mega-metropolis was not meant merely to serve Berlin’s citizens with Hitler's prescription for an awe inspiring and modernized habitat, but rather as a bankable ideology centerpiece of the civilized world that would celebrate and immortalize Nazi Germany as a global power. Interwoven in the very fabric of its design and construction are the policies of expulsion, deportation and slave labor. So says German Historian Andreas Hillgruber "Just as the Bavarians and the Prussians had to be impressed by Bismarck of the German idea, so too must the Germanic peoples of Continental Europe be programmatically steered towards the Germanic concept. He [Hitler] even considers it good that by renaming the Reich capital Berlin into 'Germania', we'll have given considerable driving force to this task. The name Germania for the Reich capital would be very appropriate, for in spite of how far removed those belonging to the Germanic racial core will be, this capital will instill a sense of unity". Adolf Hitler’s utopian plans to rebuild Berlin on a monumental scale were never realized and remain one of history's spine-chilling what-ifs, but the preparations that got under way involved large scale demolitions, the assemblage of huge amounts of steel and concrete and the use of slave labour - the victims mainly Jewish. 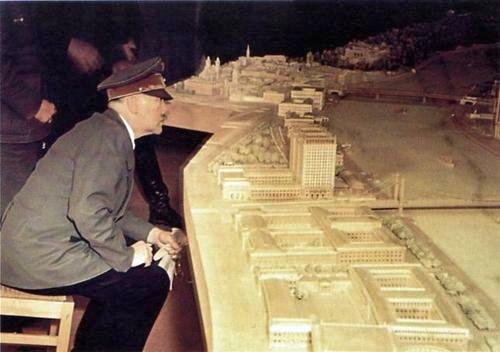 Hitler’s grand vision of a new capital for "Germania" required the clearance of swathes of Berlin, whose displaced 'Aryan' residents were to move into 24,000 apartments formerly occupied by Berlin's Jews. To meet demand for construction materials for 'Germania', Hitler, Speer and SS military commander Heinrich Himmler agreed to use concentration camp inmates as manpower. The SS built the world's largest brickworks in Oranienburg, a camp near Berlin where many inmates were murdered or died from the work. The new city was to be the biggest in the world with grand buildings, avenues and statues which Hitler proclaimed would last for 1,000 years. But due to the war, all that was realized of Hitler's plans for Berlin were huge street lights on an avenue leading up to the Brandenburg Gate, which are still there today. Though street lamps are all that these plans ever came to, visitors to Berlin can learn more about the 'what ifs' in an exhibition assembled by the Berlin Underworlds Association. 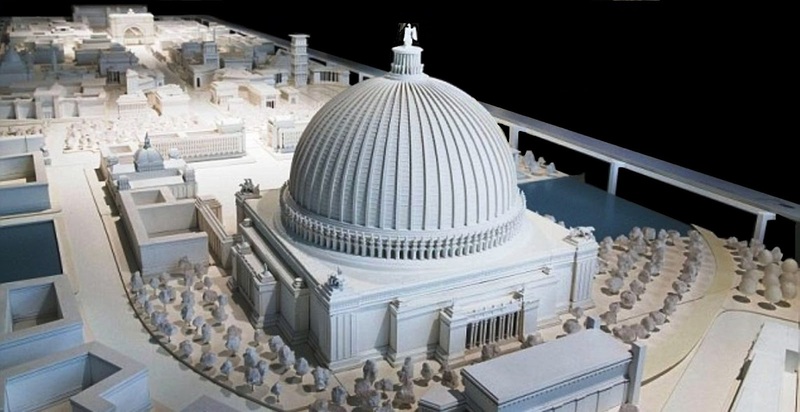 The historical exhibition of the Berlin Underworlds Association displays the architecture and urban planning in Berlin during the Nazi era, the ideological objectives of the Nazi regime and the criminal methods used in its pursuit. With these goals in mind, the exhibition attempts to analyze and deconstruct the legends surrounding the hotly debated topic of the "World Capital of Germania". By locating their project right next to the Memorial to the Murdered Jews of Europe, organizers have made sure that natural fascination with the exhibition does not turn into admiration.